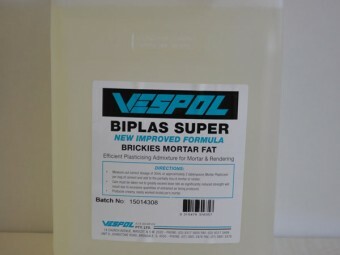 Biplas - Clear is a specially formulated liquid mortar admixture and plasticiser, which is used to improve the workability of brickwork mortars and concrete mixes. This air-entraining mixture reduces the segregation and bleeding effects in mortar and concrete, and provides a more durable mixture. 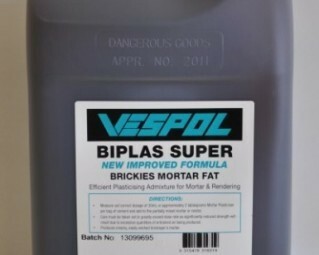 Biplas - Dark is a specially formulated liquid mortar admixture and plasticiser, which improves workability and provides a smoother finish for plaster and cement render mixes. This air-entraining mixture reduces the segregation and bleeding effects in plaster and cement render, and provides a more durable mixture. 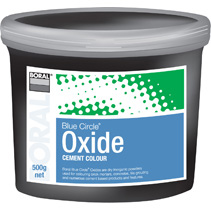 Blue Circle Black 318 Oxide is a dry powder used for colouring brick mortars, concretes, tile grouting and numerous other cement based products black. It is recommended to use oxide at a rate of between 5% and 10% of the cement content. 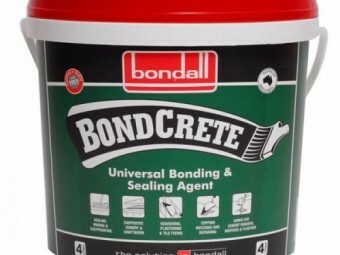 BondCrete is an Australian made bonding and sealing agent that is used in a wide range of fields such as tiling, concreting, plastering, rendering, and carpentry just to name a few. 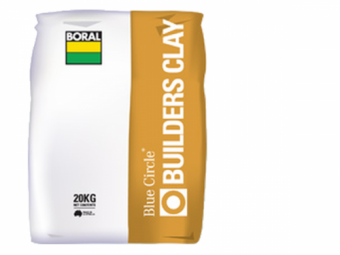 Blue Circle® Builders (Renderer’s) Clay is a finely milled, air separated Fire Clay. It is also referred to as a Kaolinic Clay as it contains high plasticity, dry strength and refractory properties. 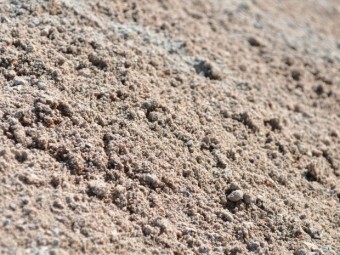 It is mainly used as a plasticiser for mortar and render mixes when the sand that is being used has a low clay content. It improves the workability of mortars and renders. Parklea Sand and Soil cement stabilises any product to your liking. Wether it be for civil or construction works, pool construction or simply backyard paving etc., we can stabilise your desired product with cement to suit your needs. Blue Circle Cemstik® is a bonding agent and admixture that is commonly used to strengthen concrete and render products etc. 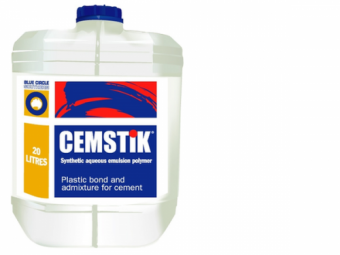 Cemstik is also often used to bond new render or concrete to existing render or concrete. 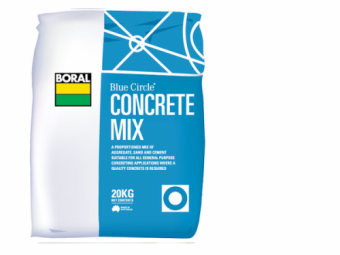 Blue Circle® Concrete Mix is a blend of specially graded sand, cement and aggregate that is designed for use by the everyday tradesperson and home handy person. Typical uses for Concrete Mix include all general applications where a quality concrete is required, such as garden edges, slabs, foot paths, post holes and footings. Blue Circle Dark Brown 686 oxide is a dry powder used for colouring brick mortars, concretes, tile grouting and numerous other cement based products dark brown. It is recommended to use oxide at a rate of between 5% and 10% of the cement content. 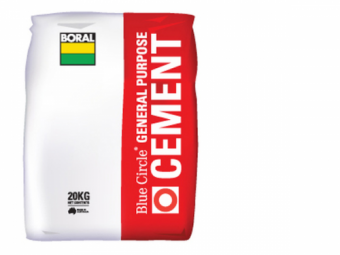 BlueCircle® General Purpose Cement is a Portland Cement that complies with Australian Standard 3972, type GP. General Purpose Cement is manufactured to produce a stronger early age strength than Grey (Builders) Cement. This makes it very popular with professional trade’s people for use in concrete, mortar, render, grout etc., and very suitable for projects around the home.